TITTLE OF THE BOOK: HAWA THE BUS DRIVER. AUTHOR OF THE BOOK: RICHARD S. MABARA. SETTINGS OF THE BOOK: DAR ES SALAAM- TANZANIA. YEAR OF PUBLICATION: 1988 – 2003. PUBLISHER: LONGMAN GROUP UK Ltd/Ben & company limited. 1. What is the tittle of the book? 2. Who is the Author/ writer of the book? 3. Can you guess what the book is about? 4. When was the book published? 5. What do you see on the front cover of the book? 6. What can you find in the blurb? THE PLOT OF THE BOOK. · Plot is the arrangement of event in the work of art. Events in the work of art are arranged in terms of chapter, scenes, parts, seasons, Arts etc. · The book “Hawathe Bus Driver” is arranged in chapters, ranges from chapter 01– chapter 06. 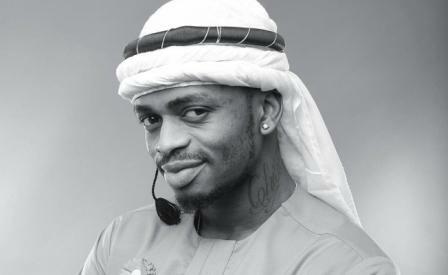 CHAPTER 1( HAWA THE BUS DRIVER). The chapter is all about the hardworking habit of Hawa in both at home and her driving work. Also the chapter reveals the kindness of Hawa to his neighbors and her family. The chapter talks about challenges that Hawa faces in her driving work, as there some people like Drunkard man who despises Hawa that woman can’t drive the bus rather she is suppose to stay at home looking after her family and not driving. In this chapter, we can see the way Hawa fought with thieves while driving the bus and succeeded the thieves to be arrested and taken to the police post at Mbezi, and people nickname Hawa as honest and heroine. The chapter shows the way Hawa drove her bus careful to the extent that she was helped to serve life of people by avoiding unnecessary accident. This is shown when Hawa helped the injured people from a accident of another bus. The chapter shows the way seleman, hawa’s husband, the way he was very jealous towards his wife Hawa because of becoming more and more famous in the city to the extent that people at Manzese greated her as “ Hawa the Great”, Due to that Seleman had decided to stop Hawa from being a bus Driver. 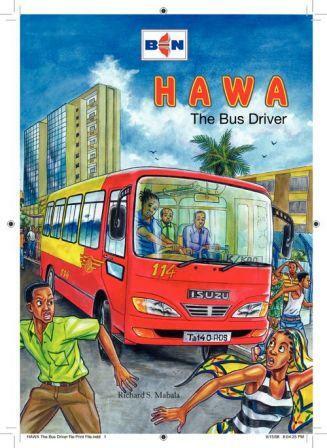 Generaly, the book “ HAWA THE BUS DRIVER” is all about a woman called HAWA who lives at Manzese Dar es salaam and Drive a bus as her daily work. Or the book is all about a famous woman bus driver called HAWA. What are characters and characterization? ii)Characterization: these are the attributes and descriptions of characters` behavior and actions they play in the work of art which are normally made by the author/ writer. These are characters which carry the main theme or idea of the story (book), film or dramas, which arenormally, appears from the first part of the book up to the end of book. Also these characters remain with the same behaviors up to the end of the story eg. Harshness, cruelty, kindness etc. These are characters which carry minimal/least themes/idea in the book, film or drama and they are not important as those main characters, rather they intend to support the main characters. MAJOR/MAIN CHARACTERS FROM THE BOOK “ HAWA THE BUS DRIVER”. v She is a famous woman bus driver in Dar es Salaam city. v She is strong and courageous woman as she was able to coup with all changes she faces in her work environment like that of thieves, accident, the drunkard man and even from her husband, Seleman. v She is Seleman’s wife. v She is Hassan’s and Saada’s mother. v She is a kind and hard working woman as she was able to help her family with domestic activities and her neighbours. v She was despised with men that woman can’t drive a bus, because driving a car (bus) is not a work of woman; that means, woman should take care of family like cooking and selling vitumbua and other petty business. v She was a good and careful bus driver in the city as she always avoided unnecessary accidents to the extent that passengers liked to travel by her bus. v She was polite and respectful woman to her husband, Seleman that she was ready to resign from being a driver after her husband claimed her to not to drive. v He is Hawa’s husband. v He is Hassan’s and Saada’s father. v He works at Urafiki textile mill as a machine operator. v He is a tall and strong man like his wife, Hawa, became operating machines needs strong people. v He is a very jealous man as he was commanded his wife, Hawa to resign from job of driving a bus because of becoming more and more famous in the city than him. v He seemed as a stupid man that allows his wife to be a bus driver. v He is a Hawa’s bus conductor. v He is somehow weak and coward as he failed/unable to help hand in difficult time like that of thieves, drunkard disturbances. v He is the one who hard people’s shouting about the thieves sanded in the bus. MINOR/ MINIMAL CHARACTERS FROM THE BOOK “ HAWA THE BUS DRIVER”. v He is the one who despises Hawa that, woman cant drive a car. v He was batten by Hawa became of his misbehavior and despises showed to Hawa. v He is the one who pushed Hawa from the stalling and wanted to cause an accident. v He is an outdated man, because he believed that woman can’t drive a car while is not true. v They are the ones who wanted to steal money from passengers and Meshack, Hawa’s bus conductor. v They are the ones who were arrested by the police after being tilted by Hawa. v They are Hawa’s and Seleman’s children. v They are studying at primary school. v They are laughed by their fellow children at school became of being children of a bus driver. v He is a primary teacher at Manzese primary school. v She is a nurse at a certain hospital in the city. v She is Hawa’s best friend who after sit together in the evenings, cooking vitumbua, planting their hairs and every chatting. A THEME: Is the main subject/idea in the piece of writing like books, film or drama. This is the main theme/idea of the book, in which the writer showed the character HAWA, the way she was working hard in both at home and working place of driving a bus (Driver). This habit of Hawa to work hard made her to become more and more famous and respectable in the city. Hard working means devoting time and energy to achieve the set goals and objectives. This is also the theme depicted from the book in which some characters are portrayed as drunkard, such characters are like the drunkard who was beaten by HAWA because of his misbehavior of despising HAWA and he wanted to push HAWA from driving because he believes that women can’t drive a bus. This outdated idea of that woman can’t drive a car (bus). This is also a theme portrayed in the book. This is shown when men regard theme selves superior than woman, for example the drunkard tends to despises HAWA that woman can’t driver a bus while in reality not true because any person be it man or woman can drive a car. This problem is much practiced in many societies in African continent that men are superior than women. i)Hardworking is a source of development in the society. ii) Gender stereotyping should be stopped in the sense that men and women should be given equal opportunity in all spheres of life. iii) Drunkardness is a source of misbehaving characters/attributes among people in the society. iv)Women are the source of family and national development. Conflict is misunderstanding among people in the story. There are different conflicts that happened in the story and those conflicts are in form of group or personal. This happens when Seleman wanted to stop Hawa from driving bus. This happens when HAWA tried to beat the drunkard when drunkard tried to stop Hawa from driving while despising her that woman can’t drive a car (bus). This happens when Hawa seems to be a good driver instead of being woman ; And this is when people tried to respect and honor Hawa as a good driver in the company. This happens when Hawa tried to fight with thieves until she succeeded the thieves to be arrested in the police post. v) The conflict between SELEMAN and his FRIENDS. This happened after Seleman came to realize that all things that have been told by his friend that Hawa was a misbehaving and arrogant woman not correct. This is the stand of the writer which can be protagonist or antagonist towards the issues portrayed and revealed in the story for example, in this book the stand of the writer (Richard S. Mabala ) is the positive contributions of woman in bringing development to the society. That was revealed by the writer that women can do any job regardless their gender, for instance Hawa to drive a bus which is normally regarded as a job for men.